Experiencing any kind of ATI graphics card issues on your Toshiba laptop computer? 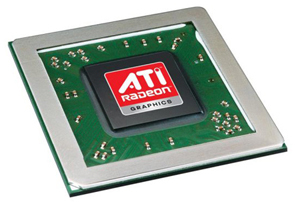 Our qualified engineers and technicians with hands-on experience can provide exceptional Toshiba ATI graphics repair and replacement services to handle all kinds of laptop video card and graphics processing unit (GPU) problems you have. Our professional component level laptop repair technicians together with our state of the art diagnostic tools such as advanced soldering equipment, BGA reflow machines and BGA rework stations and infrastructure allows us to have your Toshiba laptop or notebook computer up and running again in excellent condition at exceptionally competitive rates. 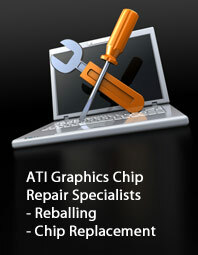 Contact us on 020 7064 4999 or send us an email to info@atigraphiccardrepair.com to schedule an appointment or to obtain more information on our London Toshiba ATI graphics repair and replacement services. You are also welcome to visit our repair store situated at 80 Willow Walk, London SE1 5SY for any kind of Toshiba laptop video card and graphics chip repair services without a prior appointment. We are open Monday through Saturday from 9:00 am to 6:00 pm.